Earlier this month, BMW Motorrad revealed via its Instagram handle that the 2019 S1000RR would arrive in India very soon. While the company has remained tight-lipped about the launch and pricing details, select dealerships have started to accept the pre-launch (unofficial) bookings for the motorcycle. IAB contacted three dealerships across major cities in the country, two of whom confirmed that the motorcycle could be pre-booked for a token amount (fully-refundable) of INR 1,00,000. While the launch details and prices are yet under wraps, the pre-bookings for 2019 BMW S1000RR have commenced at select dealerships in the country for a token amount of INR 1,00,000. The 2019 BMW S1000RR would carry a premium over the outgoing version's INR 17.90 lakh (ex-showroom, Mumbai) price tag and should arrive at dealerships by May. Unveiled at the 2018 EICMA motorcycle show in Milan, the BMW S1000RR gets massive visual and mechanical upgrades in its latest iteration. In India, the BMW S1000RR would compete against the Ducati Panigale V4/V4S, Kawasaki ZX-10R/ZX-10RR, Yamaha YZF-R1/YZF-R1M, Suzuki GSX-S1000R and the Honda CBR1000RR. For 2019, the motorcycle packs a Euro-V ready, in-line 4-cylinder engine that delivers 207 hp of maximum power against 199 hp output of the old model's Euro-IV version. The peak torque remains 113 Nm, although it now comes at 11,000 rpm as against 10,500 rpm before. Moreover, the updated engine is 4 kg lighter. The motorcycle benefits from BMW ShiftCam Technology, which varies the valve timings and valve strokes on the intake side. 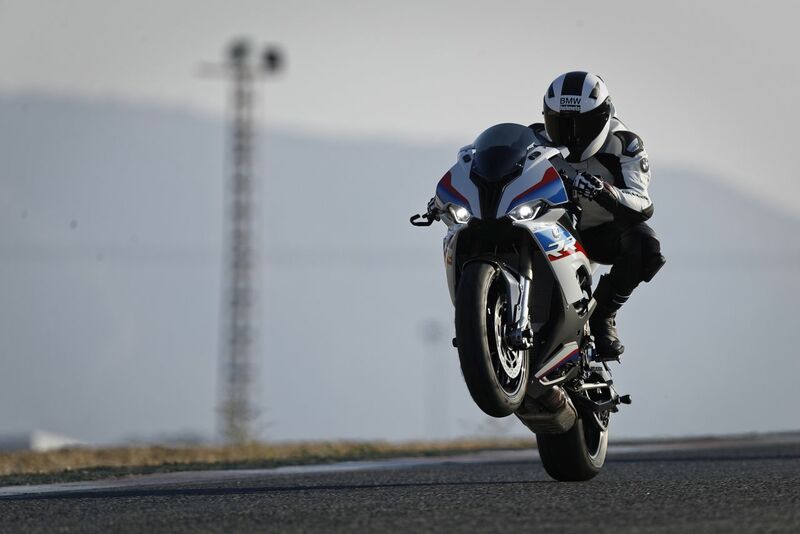 The new S1000RR is fitted with the four modes "Rain", "Road", "Dynamic" and "Race" as standard while the optional "Pro Modes" offer three additional riding modes. 2019 BMW S1000RR is expected to arrive in dealerships by May 2019, with deliveries likely to commence soon after. Expect the new model to carry a premium over the outgoing model's INR 17.90 lakh (ex-showroom) price tag. 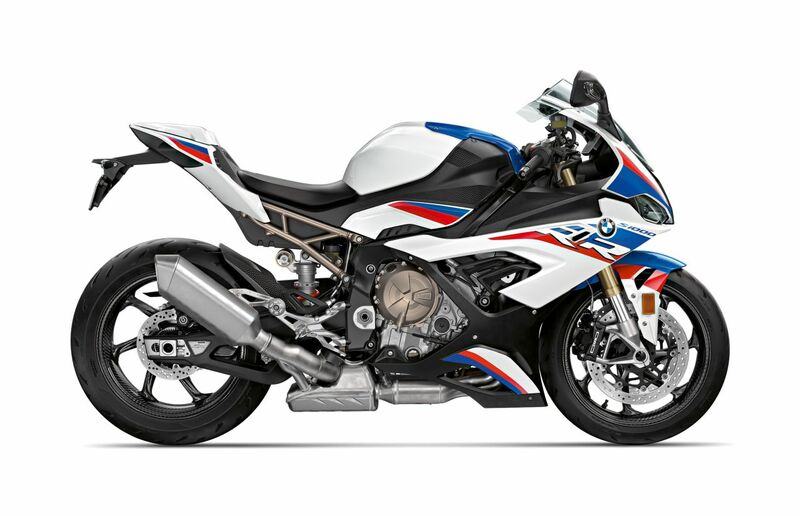 Styling updates on the 2019 BMW S1000RR include a revised fascia that drops the asymmetric look for sleeker headlights. The motorcycle comes with an updated cockpit featuring a new 6.5-inch screen.